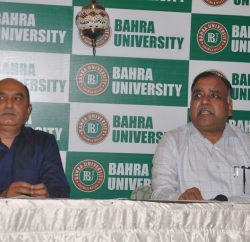 The first batch of the MBA course at the Bahra University has bagged a salary package ranging from Rs 4 lakh to Rs 18 lakh. The entire batch has managed to get placements. Somesh Jagga got the biggest pie from as he has been placed in a Singapore based Bytech Asia Pacific Company as a business analyst at a package of Rs 18 lakh per annum. 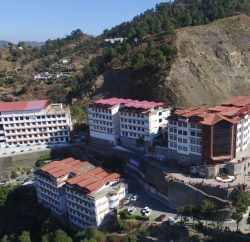 The chairman of the Rayat Bahra group, Gurvinder Singh, confirmed the development and claimed that Somesh Jagga had been offered the highest starting salary for the current academic year in entire north India. 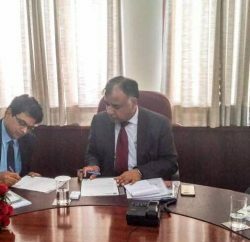 Sandeep Kaura, Joint Managing Director, Rayat Bahra group, said besides Somesh, eight students of Bahra University had been placed in I-Soft Technologies Ltd, a multinational company based in Bulgaria, at a salary package of Rs 6 lakh. wow!! studying in Bahra university provides good packages to all mba..